Gandhi once said: “Be the change that you wish to see in the world”. As a matter of fact, we, the young people, can actually make an impact. In fact, there are so many of us in this world that we have the potential and energy to bring positive change. It all relies on our willingness to act and to be passionate about good deeds. 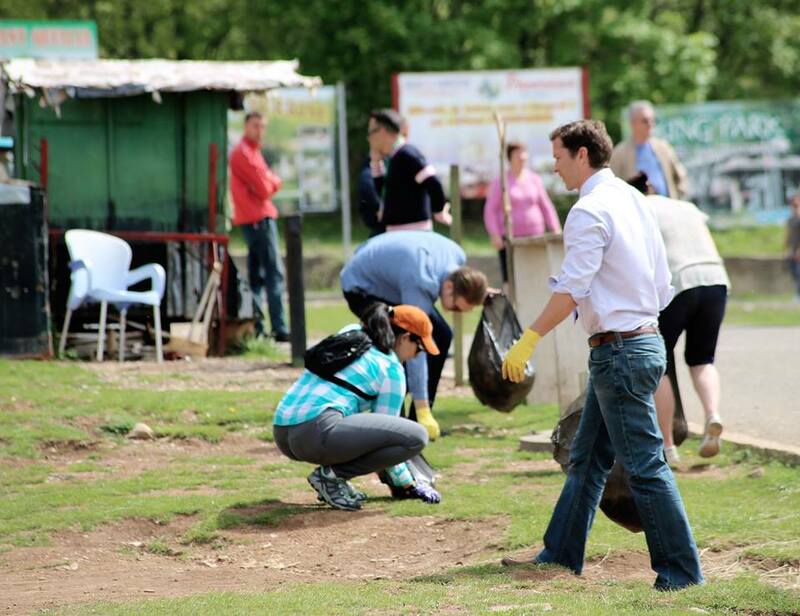 Volunteerism is one civic virtue that has not been very much present in our Balkan societies. For a moment, I would like you to think: When was the last time that you volunteered? What did you do and how did you feel? If good feelings and memories cross your mind, than this means you should embrace these actions more often. There are many ways you can tackle many community issues and do volunteer work, and the most practiced way is through joining youth organizations or NGOs that are active in society depicting volunteerism. Youth Exchange and Study (YES) Alumni Association is one of these organizations, managed and coordinated by the YES alumni. 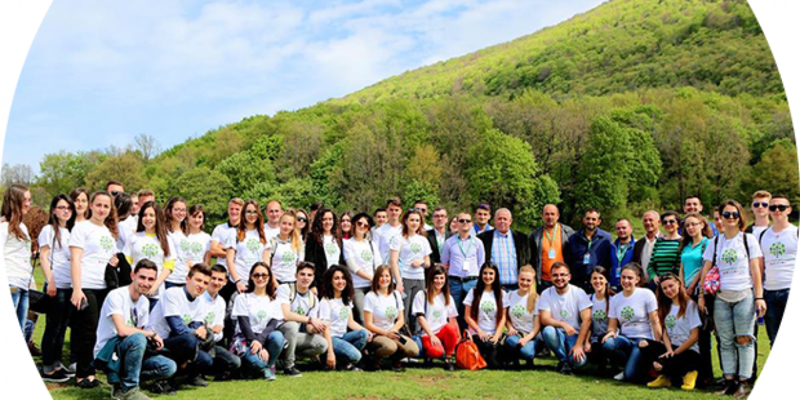 In South East Europe, YES operates in Kosovo, Albania, Macedonia, Bulgaria and Bosnia & Herzegovina. 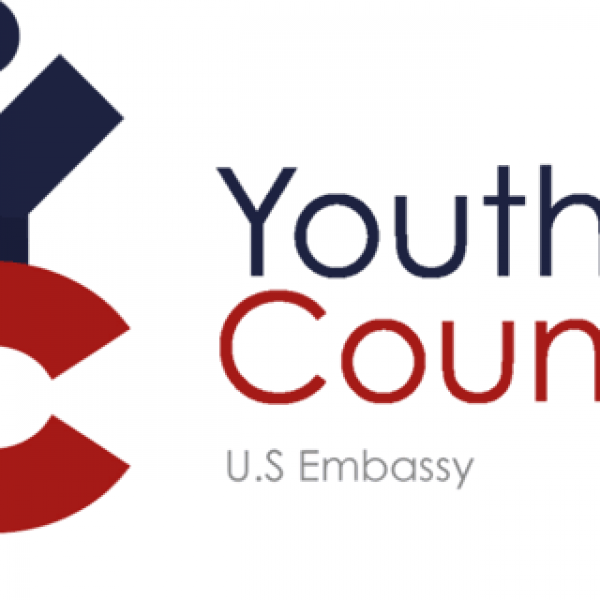 YES was established in October 2002 and is sponsored by ECA to provide scholarships for high school students (15-17 years) to spend up to one academic year in the U.S. This program gives the opportunity to students from all over the world to live with an American family and attend an American high school. It is a very good way for students to learn more about the American culture, diversity, but also to share their culture and tradition. After returning back home, YES alumni are quite actively engaged in community service and other activities. Eva Qeli is one of these students who was part of YES. During her exchange year in the USA, she was placed in Texas and she cherishes all the memories with her host family and her friends, with whom she got to exchange the Albanian culture and traditions. Eva says: “After my exchange year I came back to my home country but with a lot more knowledge and experience. I was ready to share it with my friends and all the other YES alumni in my country as we have our association through which we can coordinate many projects”. 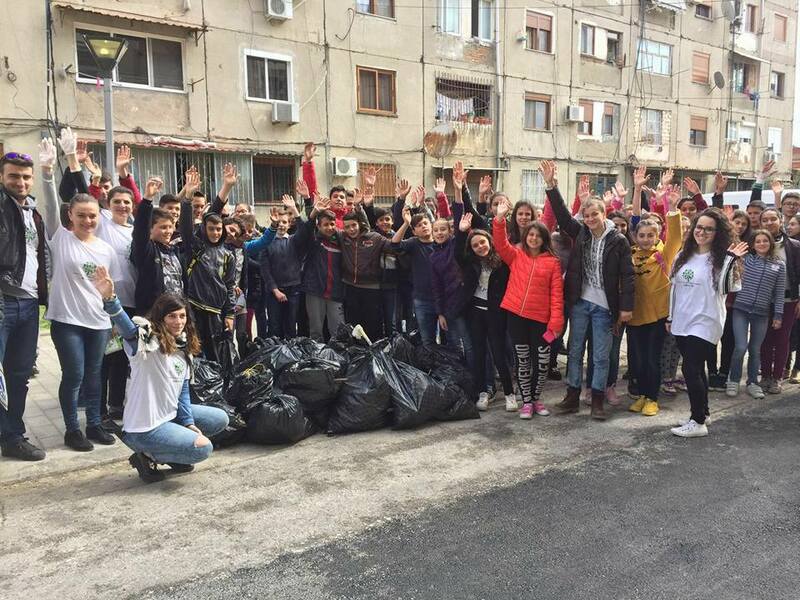 Eva was leading one of the major volunteering actions in YES Albanian Alumni Association called Clean Up Albania, a project funded by the US Embassy in Tirana. Its main focus was to raise awareness about keeping clean the environment where we live. 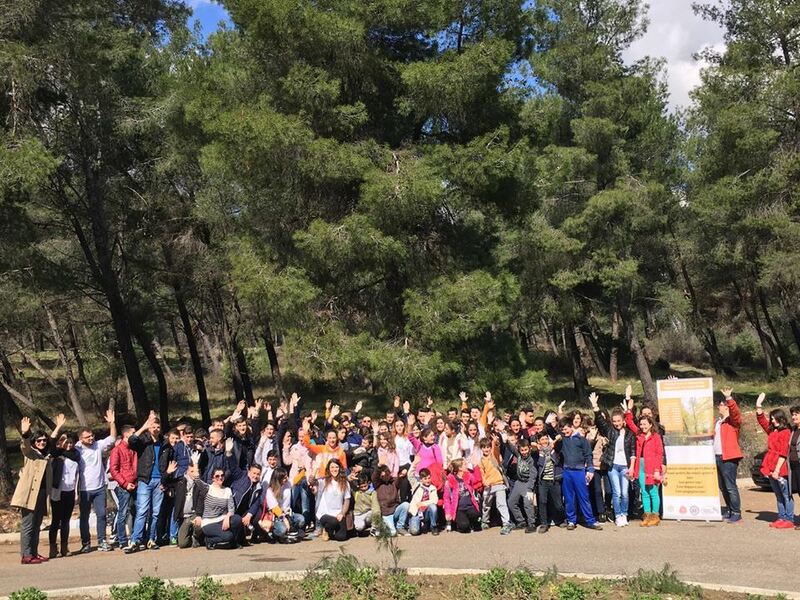 The project had tens of participants from the alumni, who travelled to 8 different cities in Albania and in cooperation with the Ministry of Education, municipalities and different high schools they cleaned up one of the main areas of each community. After the cleaning actions, they also got to speak to the youth and get their opinion and their suggestions of how to make the community a better place. Each cleanup had 100 or more students. As Eva confesses, “Personally I got surprised of how cooperative they were and the good spirit they had. This experience has helped me not only to make a better me and grow up but also to understand and be more open to the different, more cooperative and friendlier with people, nature and the world”. Klea Troka, another YES alumni who was part of this project, gives her impression for Mladiinfo about the project: “The Clean Up Project gave me the opportunity to work again with high schoolers. It was a pleasure to share with them all of my community-based work, and to get from them their enthusiasm and their motivation”. There are other cleaning initiatives in Albania such as cleaning the beaches before the start of the summer season by the Volunteer Corpus, or even by different institutions. Everyone is free to join such activities and contribute some of his or her time to address environmentally-oriented community issues. The satisfactions that will be received is enormous. The YES alumni in Albania also are part of other volunteering activities conducted in the Albanian cities, such as in the orphanages, the center for the blind people, retirement houses etc. As one of these alumni, I have personally coordinated and organized a few of them and it has always been great to realize how with little funds and a huge passion, significant change can be made. This change is not only expressed in a tangible form, but also in an invisible form, through changing mindsets and enhancing volunteerism among the youth. This is how we can be the change that we want to witness in the world. As we have been taught in YES conferences, we should give our personal unique touch to synergize among each other, because “We are not better, or worse. We are just different”. If you would like and participate in the activities of YES Albanian Alumni Association, please like us on Facebook: https://www.facebook.com/YesAlumniAlbania/?fref=ts . For activities of YES in South East Europe, please follow https://www.facebook.com/YES.SEE.PAGE/ .